Home | STATUES | The Egg Beater Raptor Dinosaur Statue, 14"
The Egg Beater Raptor Dinosaur Statue, 14"
How do you like your eggs? This baby Raptor dinosaur likes his over hard! Our sizeable reptile lives to scramble things up and make a mess of the nest while he muscles his monstrous mouth and carnivorous claws around your home or garden. Sculpted with detail from his sharp teeth to predator paws, this distinctive dino is hand painted exclusively for Dinosaur Corporation. 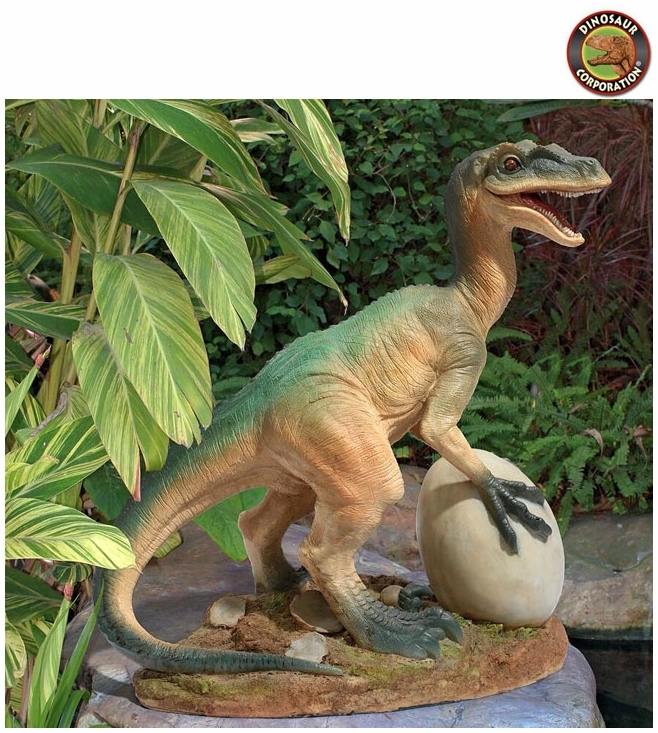 A great gift for dinosaur lovers or anyone who prides themselves on a unique garden!